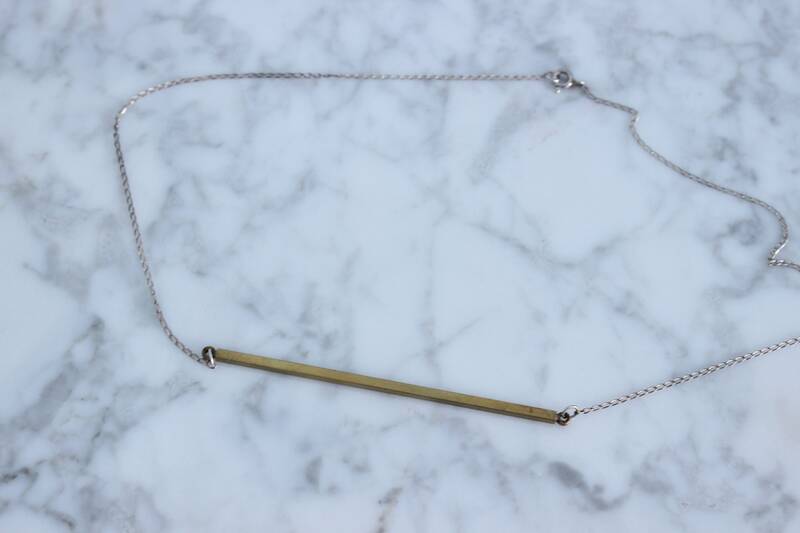 Vintage brass bar on delicate sterling silver chain. Vintage brass bar is 3" across. 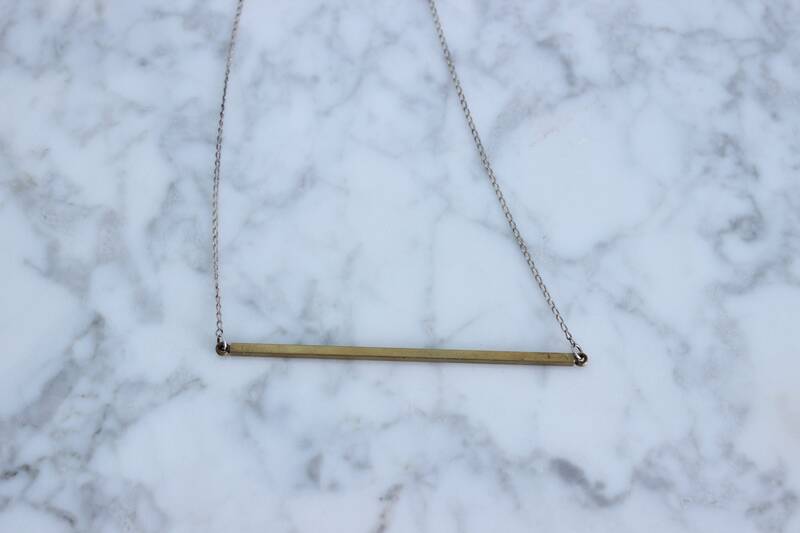 total length of necklace is 16.5"
Comes wrapped up in a brackish channel gift box. I ship USPS Priority, contact me if you would like another shipping option.